We currently have an upload issues with a particular type of JPG file, we do not know the reason for this at the moment. But we have found that if you adjust the photos and re-save, this appears to solve the issue or convert to PDF. 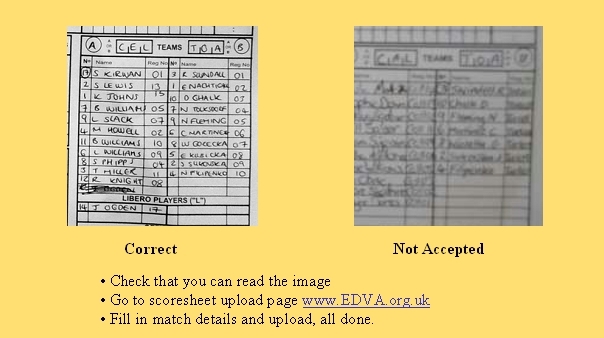 If you do not see …Thank you, your scoresheet has been uploaded …., it has not worked.